Do you often feel persistent tingling or numbness in your arms caused by excessive computer use? If yes, welcome onboard the stiff hand club. No doubt, with the modern-day demand for computer-based activities, be it at work or at home, stiff fingers, hands, and wrists are becoming a common complaint. But despite our bad luck, there is light at the end of the tunnel, with the help of the best ergonomic keyboards. If a health-conscious keyboard tickles your fancy, be sure to stay tuned as we have selected the best of them in this review below. Many people assume that only those with Carpal Tunnel or some other injury should be using ergonomic keyboards, but that is far from the truth. It is commonly known that prevention is better than cure and as such, joining the ergonomic keyboard bandwagon early in the game could save you from worlds of pain. If you are in the market for something effective and efficient, the Logitech K350 2.4Ghz Wireless Keyboard is right up that alley. This wireless keyboard comes with a wave design which is fitted with a Constant Curve layout; so, since your fingers vary in length, this keyboard is designed to support the varied length of your fingers. With this much-needed feature, your hands will be placed in the most suitable position so as to avoid any long-term complications. 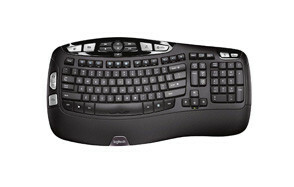 But that is not nearly everything that this wireless ergonomic keyboard has to offer. It also comes with a cushioned palm rest that helps to position your hands comfortably on your keyboard. This well-thought-out space is not only meant to be used while you are typing, but it is also a great place to rest your palms while you are not typing. This can go a long way in making your work process a lot easier and more fun. Even more for your comfort, you have the option of adjusting the height of your keyboard to the point that it feels most suitable for you and there are three options for you to pick from. Although individuals may have varied experiences with this, this device offers a longer battery life in general. With this ergonomic keyboard, you can experience up to three years of battery life; this figure was reached based on a calculation of an estimated 2 million strokes per year. As impressive as this is, the fact that it has a unifying receiver places this keyboard on a level of its own. You do not need to unplug it when you move around, and you can add other compatible devices such as keyboards and ergonomic mouses to the same device. There is so much more that this wireless keyboard can offer in any setting, be it for work or leisure. So why not take the bold step to ensure the comfort of your hands and wrists today? As a result of their long product life, in addition to the fact that they can save you a ton of money on medical bills in the future, ergonomic keyboards have become a suitable way for individuals and businesses to save money. Nevertheless, you need to know which product fits your situation or position as a whole. In any organization, cutting back on costs is a key issue and as such, a product like the Microsoft Natural Ergonomic Keyboard 4000 for Business could go a long way in making that happen. Overall, it includes a split ergonomic design that encourages users to position their hands, wrists, and forearms in the right way. Seeing many office workers spend a whole lot of time on their computers, this is quite an important aspect of ergonomic keyboards. For this reason, Microsoft has invested a lot of time and money into becoming associated with a significant reduction of Carpal Tunnel syndrome symptoms. This ergonomic split keyboard comes with a cushioned palm rest which is sure to support as well as encourage you to adopt a neutral wrist position. In addition, there is also a palm rest which goes a long way to ensure that you have a neutral wrist position altogether. There are also some handy hotkeys at your disposal which are put in place to make your overall experience a fluid one. For instance, you can enjoy quick and personalized ways to reach your files, folders and web pages. You can also use the Zoom Slider which is positioned in the middle of the keyboard to zoom in and out with the simple touch of your finger. Altogether, this device looks and feels different but in a very good way. 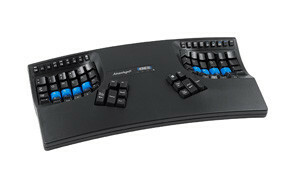 Also incorporated in this natural ergonomic keyboard are media keys that you can use for music and video. Mac OS simply need to install the enclosed IntelliType Pro and IntelliPoint software before connecting any given hardware. 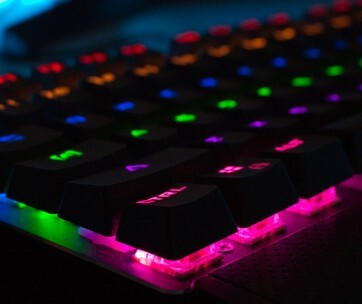 Make sure you also check our guide to the best mechanical keyboards. Makes for a more natural hand, wrist and forearm positioning. Ergonomic keyboards can provide a healthier and more comfortable input process, and their state-of-the-art design takes the peculiarities of the human physique to the benefit of users. Not only do they speed up the concentrated input and the entire work process, but they also spare the health of our wrists, joints, and arms immensely. From office software all the way to hardware, you can count on this next brand to deliver on all fronts. If you are looking for reliability and accountability, then the Microsoft Sculpt Ergonomic Keyboard for Business is just the right fit. Its modern design will give you a comfortable feeling that you need to power through the day without any adverse effects on your wrists and hands. The whole concept of the device is built on advanced ergonomic principles which are a split keyboard layout, a cushioned palm rest and a domed keyboard shape. It would be a crime not to explore these principles further. Overall, this ergonomic keyboard employs a split keyset design and the essence of this is to enable you to keep your wrist and forearms in a more natural and relaxed position. Similarly, the reason there is a cushioned palm rest is to give your hands all the support they need while also helping to maintain a neutral wrist position. The domed keyboard design functions by keeping your wrists their most natural angle. All these components work hand in hand to keep you comfortable and productive. You may still be wondering, why the split pad? Well, the fact that there is a separate number pad enables you to be a lot more flexible, especially if you are using this in a working environment. Besides the split pad that has us all in awe, the key layout actually mimics the shape of the fingertips. Additionally, the keyboard has reverse tilt angles which make for a straight and neutral wrist position. All in all, if you are truly down for business, this is an ergonomic keyboard that is sure to meet your needs. 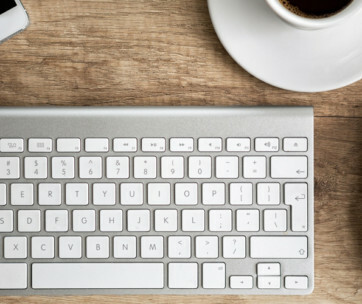 Our handy guide to the best wireless keyboards features more great products like this. One of the most common misconceptions about ergonomic keyboards is that finding a perfect fit is best done by individuals who are trained in ergonomics. The fact that it seems like a daunting task deters most people that are in dire need of a good one. Needless to say, with a little bit of research here and there, it instantly becomes an easy feat to find a keyboard that can let you type comfortably. One of such devices is the Fellowes Microban Split Design Wired Keyboard which is a well thought out product that will change your typing habits for the better. The standout attribute of this ergonomic split keyboard is the fact that it is fitted with microban antimicrobial protection that keeps the keyboard clean on its own. So, you do not need to worry too much about particles getting stuck in places out of your reach, this ergonomic keyboard can look out for itself. That is not nearly all that this stellar device has to offer; it is designed in such a way that it conforms to the natural arm and hand positions for your overall comfort. There is a little something for everybody when it comes to this device and in the case that you are a very fast typist, then this is the ergonomic keyboard for you. It comes with a 16-character buffer which is specifically put in place for fast typists; the material type used for this is HPS. There is also provision made for 7 additional hotkeys which are used for multimedia control as well as one-touch internet access. However, it’s vital to note that the internet must be connected already for this to work. Also included with this top-notch product is the provision for USB connectivity and there is no software required in the case that you are using Windows Vista and Windows 7. Nevertheless, if you are using Windows 98SE, 2000 and ME, you will definitely need to download the function software from Fellowes.com. To crown it all up, it is compatible as a plug and play device with Windows Operating System. Love this product? Check out our review of the best vertical mouses for our top picks. It really does not matter how many minutes, hours or even days you spend clacking away at the keys of your computer, an ergonomic keyboard is something every individual and business should aim to own. Provide yourself with all the equipment you need to make your work easier as well as to prevent complications that may arise. 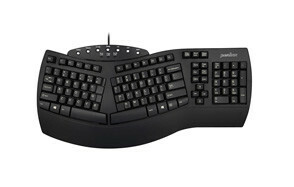 The Perixx PERIBOARD-512 Ergonomic Split Keyboard is a great option for you, whether you are an extreme typist or not. With its split key, 3D curve design, this natural keyboard conforms to your natural arm for the most comfortable typing position. It is also fitted with an integrated palm rest design that supports your wrists with a split key design to correct your work posture altogether. This will naturally prompt you to adopt a straighter posture rather than bending your wrists to the side as you type. This product has been tried and tested by a large chunk of customers suffering from repetitive strain injuries who have come back to report a reduction in muscle stress and a more comfortable typing experience. Some of this can be credited to the integrated palm rest on this device that helps users to explore it more effectively and in a way that doesn’t add unnecessary stress on the muscles. That is not all, producers of this stellar ergonomic keyboard have gone to great lengths to make it as user-friendly as possible. First, the presence of its laser printing keys addresses an issue most users have with a range of ergonomic keyboards. As a result of the laser printing technique used, the keys are more durable and can take rounds of intensive typing. Also, it has 7 multimedia keys which can be used to do a number of things ranging from opening your browser to switching over to sleep mode. Everything, or at least most things will be at your fingertips. Find more great products like this by checking out our guide to the best wireless gaming mouses . Although most ergonomic keyboard models follow the same goal, their design and shape may vary depending on the manufacturer. When looking for an ergonomic keyboard, the general idea is to get something more comfortable, with a natural feel. To be honest, in some cases, what is most comfortable can be relative, as such, it is wise to source out products that are versatile and can cater to your various needs. One of such products is the Kinesis Freestyle2 Ergonomic Keyboard for PC; with its split adjustable design, it can altogether change the way you type for the better. What really makes it a standout product is the fact that it can easily adjust to your body. It does all this so as to learn your preferences, and in the long run, increases your comfort and productivity. All you need to do is to manually customize the position of the keyboard modules with the adjustable split and splay the tenting in order to achieve the most natural position for your hands, wrists and even your forearms. In the long run, all this will reduce the likelihood that you will experience any static muscle tension or strain. With its adjustable split, you can easily separate and splay the modules of this natural keyboard. It is advisable to splay it to shoulder width in order to keep the wrists straight. There is also the choice of opting for the 9-inch or the extended 20-inch separation model, and as such, you can simply pick what works for you best rather than being stuck with something generic. The tenting is also a special aspect of the keyboard’s design and can facilitate a 5, 10, and 15-degree inclination in order to reduce the forearm pronation that is associated with flat keyboards. You can choose between the VIP3, which comes with palm supports and the V3 which comes without. This device also accommodates a low profile; its zero-degree slope collaboration with its cushioned palm supports totally eliminate harmful wrist extension. All in all, this device is practically bending over backward to ensure that users get the personalized experience they deserve. Be sure to combine this with a cool thunderbolt 3 docks from our list. It may sound cliché, but it has to be said; although this is last on the list, it is certainly not the least. It is viable proof that ergonomic keyboards come in different shapes and sizes and in actuality, there is an option out there for everyone. If you are in the market for something totally different, yet effective, then the Kinesis Advantage2 Ergonomic Keyboard is a product you should look at a bit closer. It has a contoured ergonomic shape which has been proven to increase comfort as well as productivity. This design is altogether special and as such, it is no surprise that it is patented. The first wonderful thing about this patented device is its thumb keys which allow your fingers and hands as a whole to be placed in a comfortable position thus enabling a more relaxed experience while typing away. What’s more, the keys you are most likely to use, such as the space bar, backspace and Enter are positioned so that your thumb, which is a whole lot stronger than your pinkie, can easily reach them. In addition, there is 20 degree tenting available with this compact brand which easily results in the elevating of your thumb which in turn reduces forearm pronation. 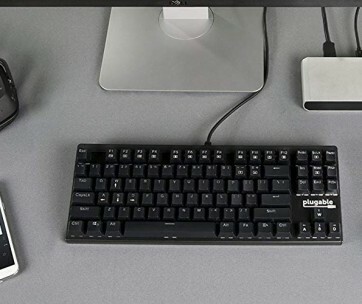 You may be wondering about the tenkeyless layout of this ergonomic keyboard; well it wasn’t added just to make this device look as unique as possible. With this keyboard, the hands are positioned in such a way that they are at shoulder width and as such, the wrists are kept straight. To top this all up, there are palm supports which helps users place their wrists in a neutral position and type away without having to take your eyes off the screen. There is no doubt that this product is made for the all-around comfort of typists everywhere. Q: What is an ergonomic keyboard? A: This is a keyboard that is designed in such a way that it adjusts to its user rather than its user having to adjust to it. Some people may believe that they are better off with traditional keyboards because the adverse effects have not started trooping in. Nevertheless, it is best to employ the use, not just to combat adverse effects, but also to increase comfort and the quality of work altogether. In that sense, ergonomic keyboards are for everyone.